In the Cross River region in Southeast Nigeria and into Cameroon, several ethnicities are found among them the Ekoi. The Ekoi people are best known for their large, skin-covered masks, often with two or even three faces. 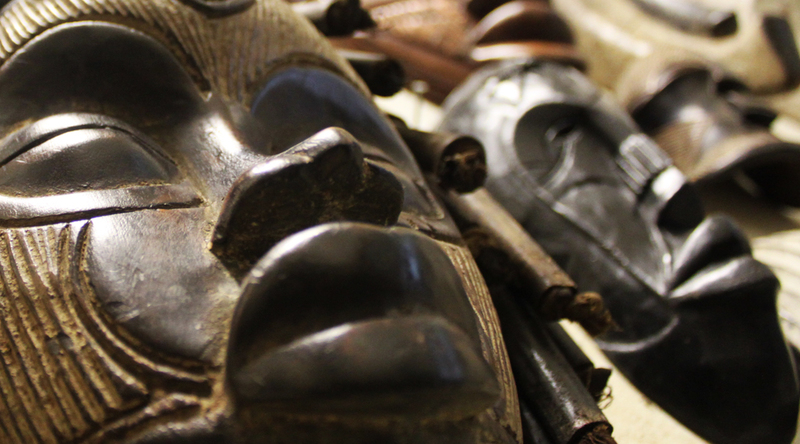 The heads and skin-covered masks are unique in Africa.